Ian Mckay set up his workshop in Bath in 1991 and has been making toys and automata ever since. 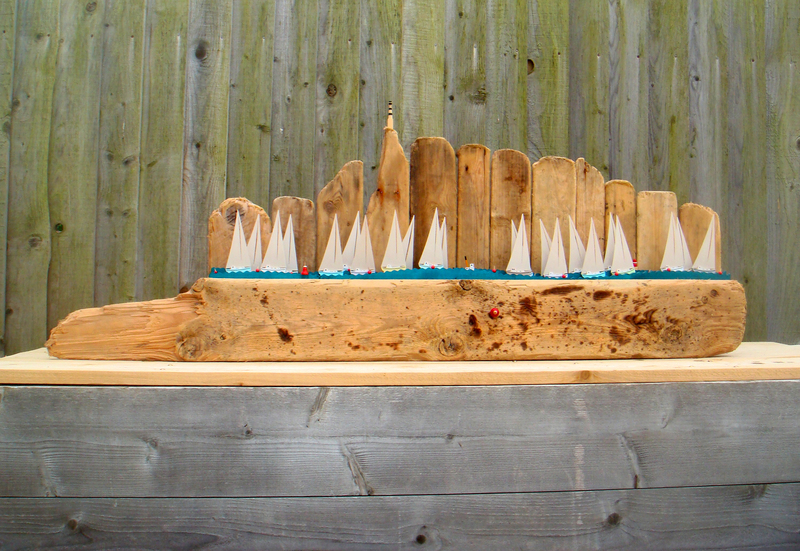 For Sladers Yard he has made distinctive driftwood sculptures with sailing boats which make patterns with their sails as they move. Ian has exhibited throughout Britain, France and Germany. His work is in the London Aquarium and the Arima Toy Museum, Japan, amongst other private collections. We have a number of Ian’s automata in the show ranging from £50 in price to larger pieces with three figure prices. Hello. I have just sent Ian an email asking if I can see his pieces move. I haven’t received a reply yet, so thought I would ask you the question, too. Thanks in anticipation, from the land down under. It’s a good idea! I don’t have any video of Ian’s work moving but we will work on that… Many thanks.